Nothing beats finding a restaurant that ticks all the boxes. Fantastic food, gorgeous design and an atmosphere that makes you want to stay there forever. 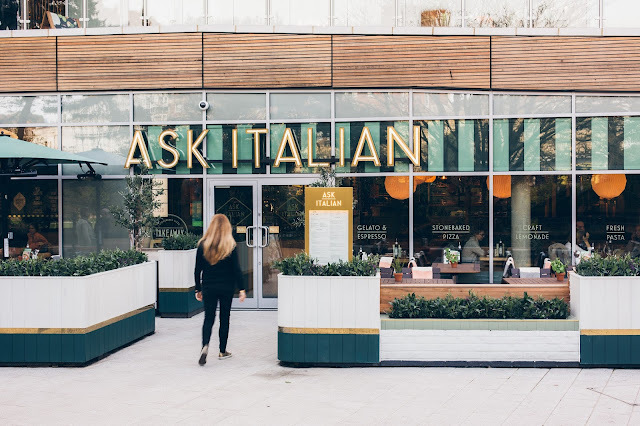 I was recently invited to the opening of the new Ask Italian at the BH2 complex in Bournemouth and I couldn't wait to immerse myself in a dining experience I wouldn't forget in a hurry. Tucked away in the lower part of the BH2 complex, you are welcomed into Ask Italian with style and comfort. Me and Tamsin commented on the gorgeous furry blankets that were placed outside to give you a really indulgent evening (perfect for sipping cocktails with the school mums!). We were blown away with how the place was decked out, commenting that it would almost be a fitting place for a wedding reception with the indoor trellis and quirky tiling along the walls. Ask Italian celebrates everything great about Italian culture and food. As someone that is slightly obsessed with Italian cuisine (hello carbs!) I couldn't wait to see how they could stand out amongst a wealth of other Italian restaurants in the area. 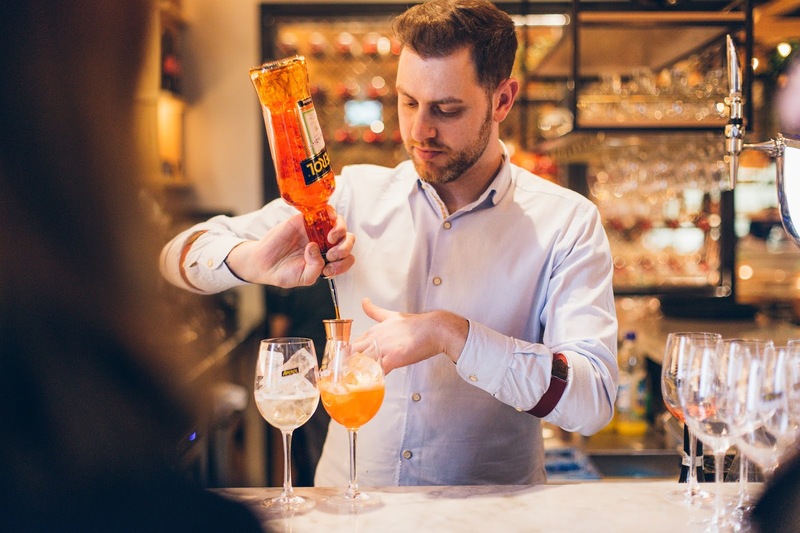 Upon entering, we had the opportunity to try a scrummy Aperol Spritz. A bitter orange based liqueur cocktail that's made with plenty of prosecco. It was gorgeous and a definitely had more than one! Browsing the drinks menu we were really impressed with the variety and the prices. 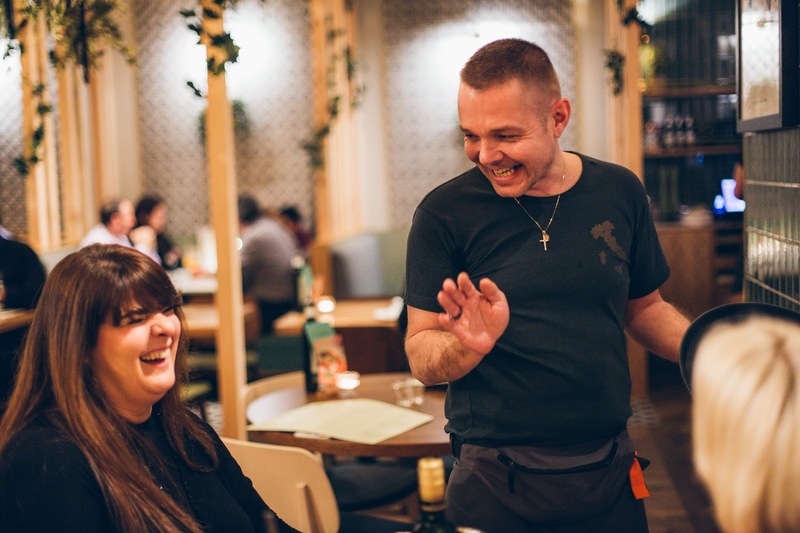 With cocktails starting at £5.95, Ask Italian is definitely somewhere that we have told the school mums we are visiting. As we were deciding what to eat, we were given a meat and cheese antipasti board to munch on. It was the perfect way to browse the menu and get ourselves warmed up for an evening of eating! I absolutely adored the rosemary and sea salt bread and have been scouring the supermarkets to make a cheese board up at home. We decided to pick a pizza and a pasta and share the two. Both being lovers of Italian food, we didn't want to miss anything out so went for a classic stromboli pizza and a linguini carbonara. Using fresh pasta and hand stretched pizza dough, you could tell how much care had gone into each meal. With people around us remarking at how gorgeous their meal was, you could tell we weren't the only ones that couldn't wait to dive in. The pizza was perfect. 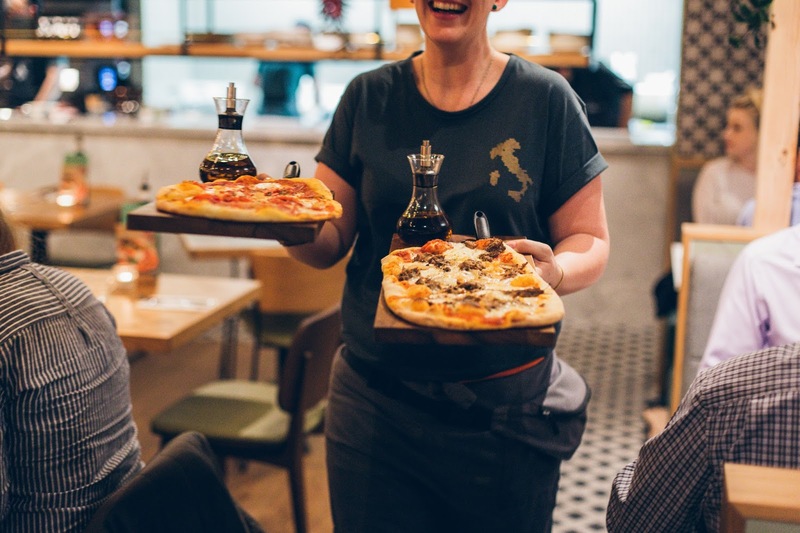 For such a simple dish, it can be hard to get it right and we both mentioned that next time we were definitely going to go for another pizza, especially as their new Alto pizzas sound amazing! The pasta was the perfect blend of creamy and light. It was a bit too much for us to share but we later found out that you could half the portion and add a side salad for a bit less, definite food for thought! Of course we couldn't turn down dessert and went for Ask Italian's famous chocolate etna and the new melting eton mess tower. Both are desserts that are showstoppers due to the servers pouring hot sauces over them to create breakaway treats and surprises. There was a host of oohs and aahs coming from us and the others eating nearby. Our meal at Ask Italian was utterly amazing. 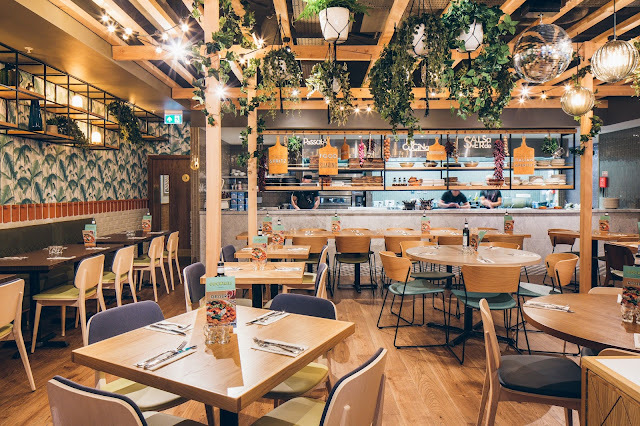 From charismatic servers to Instagram worthy interiors and mouthwatering food. There is literally something for everyone here. A gorgeous meal in a gorgeous restaurant. Thank you Ask Italian, we can't wait to come back! *Note, this meal was free for the purpose of a review. All opinions are my own.